A range of greener alternatives to standard plastic cards. 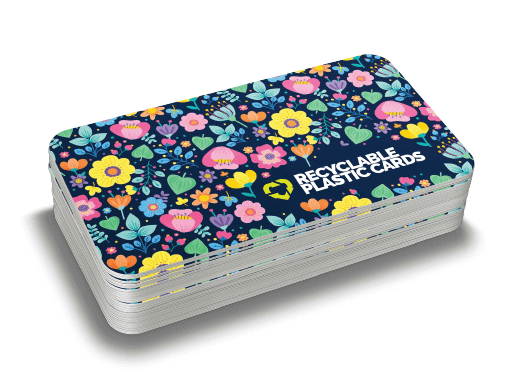 Our world is a wonderful place and its important we look to the future by giving our clients a wide choice of greener alternatives to standard plastic cards. Introducing our fantastic new range of Eco Cards. For between 100 to 10,000 cards. 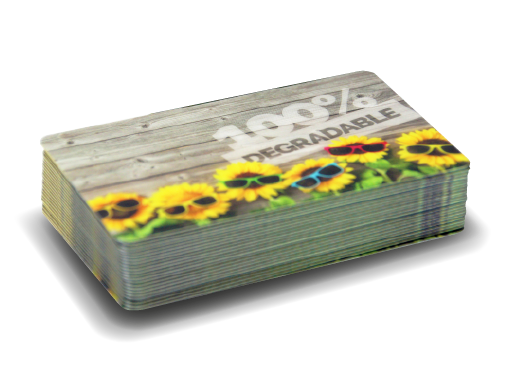 Degradable cards eventually begin to wear down leaving no damaging toxins behind and helps companies with ISO14000 compliance. For 250 cards and upwards. 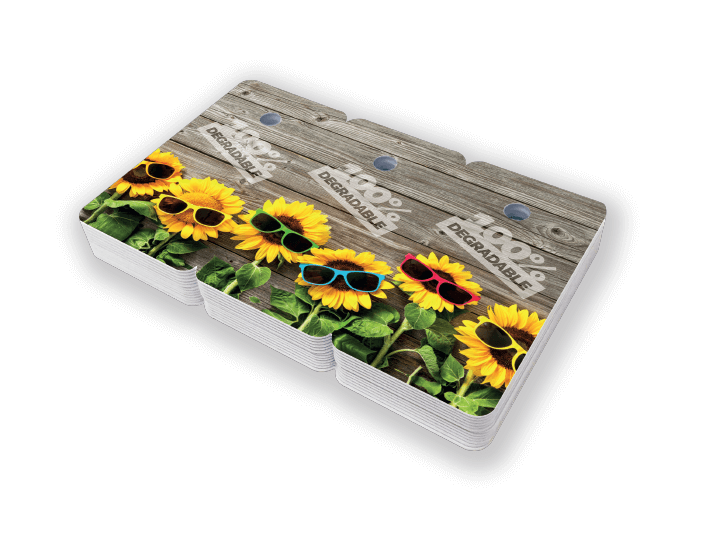 Made from 40% recycled plastic cards, these are a great option for consumers looking for a more environmentally friendly plastic card. For 10,000 cards and upwards. 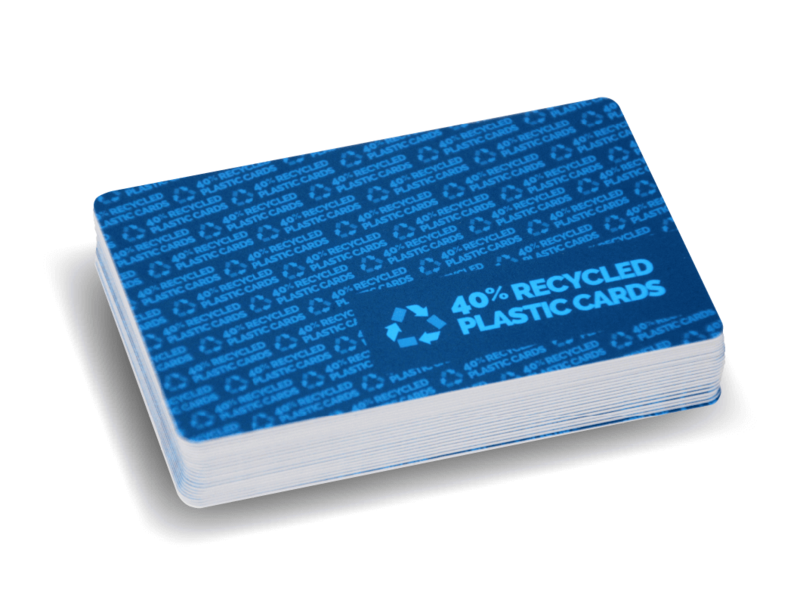 With their lower environmental impact for ISO 14000 compliance, these recyclable cards are a green alternative to traditional plastic cards. For 102 key tags and upwards. Degradable key tags eventually begin to wear down leaving no damaging toxins behind and helps companies with ISO14000 compliance. Not sure which are the best Eco Cards for you? No problem, our team are here ready to help, with great advise on which eco card would be perfect for your needs.